We returned from our year on earth seven years ago this week, and now we’re back at it again–this time it’s three months around the world with two kids under five! Follow along with our sure-to-be-wild adventures on our new site, One Family On Earth. Eight months have passed since we returned home. In many ways, the trip seems like a dream. Without this website and the pictures hanging on our walls, it would be easy to convince ourselves that it never happened. How did we get so lucky as to be able to take a trip like that? And how did it all go by so fast? The memories are so numerous that they almost blend together. Not a day goes by, however, without something triggering a vivid recollection of an experience we had during our year abroad. And then, for a minute, we’re transported back to someplace a world away–and a world apart from the lives we live now. We know that we are privileged beyond belief to have completed such an unbelievable journey. The wisdom we gained can never be taken away from us. The shared experiences and challenges we faced deeply strengthened our marriage. Our respect for different cultures and the appreciation we now have for our own country could not be stronger. While we’ve been lucky to see more of this beautiful world than most, we have still just touched the surface. There is so much more to see and experience–enough to fill several lifetimes. We can’t wait to continue the exploration! To provide a short overview of our one-year journey around the world, we have created a slide show of some of our favorite pictures. Enjoy! We’ve been back in the States for a little over two months now. As soon as we touched down in Nashville, we were caught up in a whirlwind of welcome-back parties, attempts to eat all of the favorite foods we’d missed for a year, time spent catching up with loved ones and dizzying trips through Target, where Shanna, in particular, marveled at the sheer quantity of products that were now available to her. 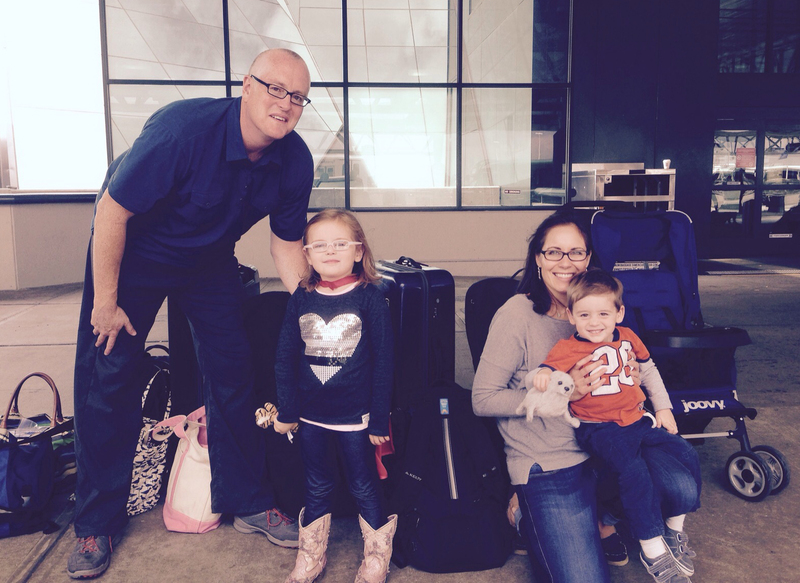 And then, once again, we packed our bags and left the familiar–Nashville–for the unknown–new lives in Washington, DC. We’ve stayed in touch with quite a few of the other long-term travelers we met on the road, and they had lots of advice for us as we made the transition back into “real life.” As it turned out, pretty much everything they warned us about turned out to be true. They cautioned us that very few people would be interested in stories about our trip, and that some would not even question us about it. This wasn’t at all true for us in the first couple weeks, when we were catching up with those who know us well and followed along with this blog, but we’re finding now that the vast majority of the new people we meet don’t seem to be very curious about our travels at all. More often than not, any mention of our travels is met with blank stares. People here are less likely to have traveled themselves and, therefore, less likely to ask about it–the same way that we’d probably be reluctant to inquire about something that we don’t understand very well. (Derek runs into a fashion designer. Silence ensues…). This is a big change from life on the road, where everyone was genuinely interested in our adventures, most likely because they were traveling themselves and, like us, wanted suggestions about where to head next. On the road, the first questions people ask each other after they exchange names are “Where have you been?” and “Where are you going?” Here, it’s virtually always “What do you do?” During our year on the road, we heard the “What do you do?” question literally less than five times. That’s a big adjustment. Our fellow long-term travelers also warned us that we’d miss each other once we were no longer spending every minute together. And we do. After 366 days of almost no alone time, we now have it in spades. Shanna’s new job often keeps her at the office fairly late, so we sometimes only get to see each other for an hour or two before it’s time for bed. That’s a huge change, and one we’re having trouble getting used to. In better news, though, we’ve enjoyed many of the perks of a more settled life. It’s nice to wake up in the same place every morning and to always know where the bathroom is. It’s great to have food in the refrigerator so we don’t have to eat out all of the time and to be back in a familiar culture, where we rarely have to worry about whether we’ve just unintentionally but seriously offended someone. It’s good to have an address and a phone number and the feeling that we’re starting to build a life here. And parts of our new life reflect things we learned from the trip. We’re far more likely now to seek out adventure, and we’ve already taken a couple of quick trips outside of the city. (A couple of weeks ago, we spent a day on the Chesapeake Bay, devouring (and we DO mean devouring–we have the Old Bay-stained shirts to prove it…) piles of delicious Maryland blue crabs.) 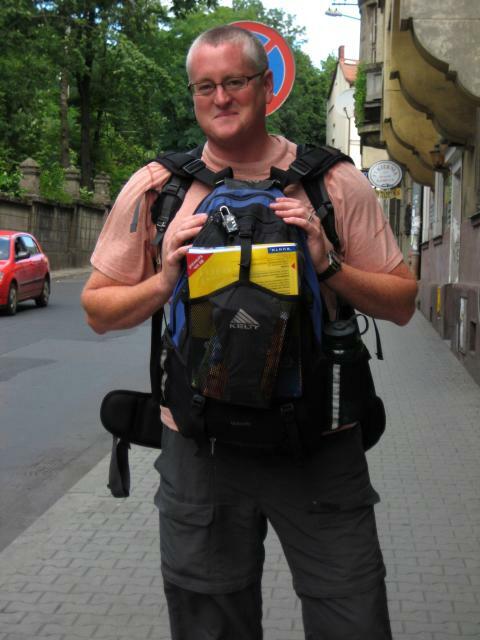 More than anything, our travels have provided us with invaluable perspective on life. We recognize and are deeply grateful for the amazingly blessed life we have here in the USA and know that we are capable of overcoming virtually any challenge that presents itself. From time to time, we’ll ask each other this question: “Someone offers you the chance to leave tomorrow morning and do the whole trip again. Do you take it?” We’re split on that decision. We’ll leave it to you to figure out who’s ready to grab a backpack and head out the door. One Year on Earth Goes On the Air! After an article was recently published about us in The Tennessean, a morning radio show in Nashville (Mix 92.9) contacted us for an interview. 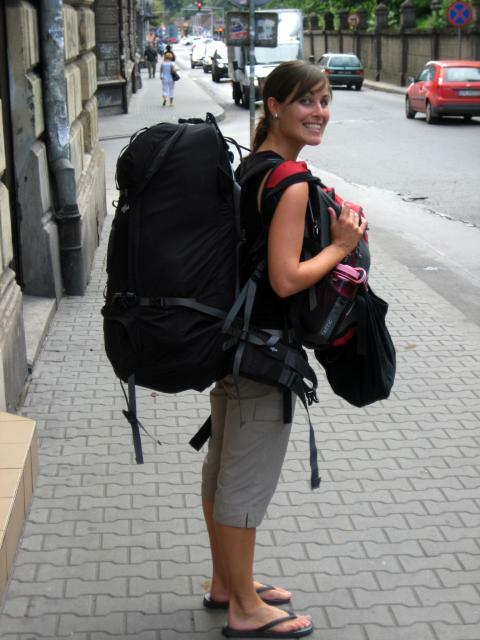 The interview was broadcast on September 15, 2008 and is available by clicking HERE and scrolling down to “One Year On Earth – Newlywed Travelers Trek the Globe to Perform Acts of Service – September 15, 2008.” Enjoy! After visiting 40 countries over a period of 366 days, we are leaving for the airport in a few minutes to board our final flight of the trip–one destined for Nashville, Tennessee. By the end of the day today, we’ll be home. It’s hard to even estimate the number of times we’ve thought about this day–about how it will feel to step off that plane onto U.S. soil, about what it will be like to hear English spoken everywhere we go, about how nice it will be to talk to our loved ones in person, rather than over email. Now that the day is actually here, it feels a bit surreal. We already know that the experiences we’ve had over the past year are usually reserved for fairy-tales. The things we’ve seen, the people we’ve met and the challenges we’ve overcome are difficult for us to even comprehend. In fact, as we look back at some of the pictures over the past year, it’s hard for us to even believe that they ever really happened. The trip has gone far better than we could have ever imagined. We’ve been incredibly blessed and lucky–as well as safe–at every turn. While we are incredibly excited to get home, we are also overwhelmingly sad to be leaving our journey behind us. We know that it has been a defining moment of our lives. It’s hard to come to grips with the fact that it will soon be part of our past. We will spend the next two weeks visiting friends and family in Nashville and Rochester, Michigan before driving to Washington, DC in mid-September to start our new lives. During that time, we will post several entries about our return home and our post-trip reflections on the past year, and we’ll make sure to share some of our favorite pictures, too. Stay tuned! 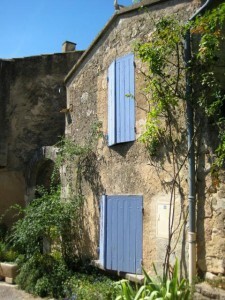 Even people who have never been to Provence, France probably have a pretty good idea about what it looks like; images of the lovely region in Southeast France are everywhere at home. Nashville has a chain of bakeries with the Provence moniker, and of course there’s the fancy soap and lotion store that you can find in almost every shopping mall (and, as it turns out, in countless upscale shopping areas around the world) called L’Occitane en Provence. 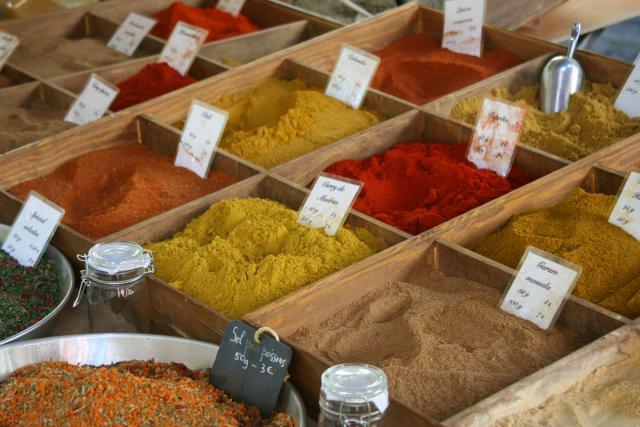 Whether they’re selling bread or bubble bath, the stores conjure up images of fields of lavender, stone houses with colorful shutters and a world painted in yellows, blues and purples. After spending a few days in Provence itself, we can say with conviction that, if you make a trip there and that’s what you’re expecting to see, you probably won’t be disappointed. (Just make sure you go in late spring or early summer, before the lavender is harvested. We got there too late and saw only the fields where the purple stuff once grew.) 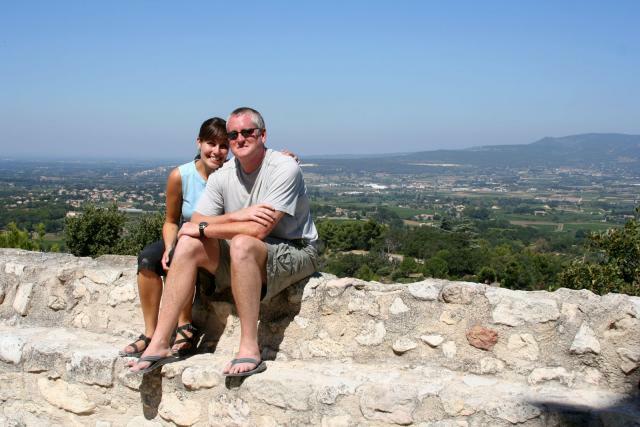 An old Provence motto advises people to move “slowly in the morning and not too fast in the afternoon.” Whoever said that would be proud of us; we certainly took it to heart while we were there. We spent most of our time in Provence meandering through small villages in hopes of getting a taste of the “real Provence.” In Carpentras, we browsed through the morning market, sampling local cheese and sausage and stocking up on lavender-scented soaps. In tiny Oppede le Vieux, we hiked back to ancient ruins and had a long lunch at what looked to be the only cafe in town. In Menerbes, we wandered along cobblestone streets and happened upon a magical little garden that allowed us a stunning view of the area’s rolling hills. In Gordes, we stopped to see the Senanque Abbey, home of monks who live in simplicity and silence and earn their keep by growing lavender and tending honeybees. And in Chateauneuf du-Pape, we sampled some of the wines that have made the town famous the world over. Delicious. 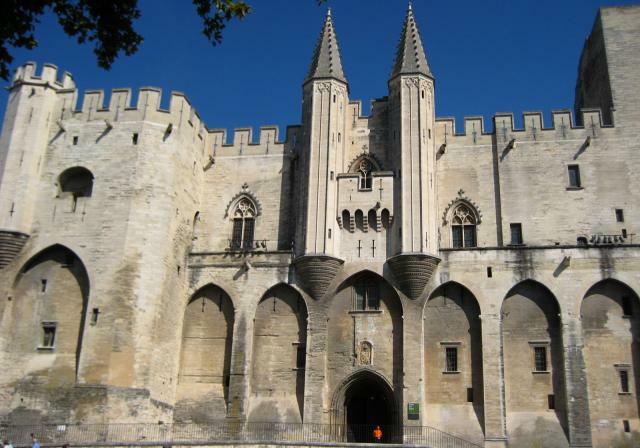 We also spent a lazy afternoon in Avignon, which from 1309 to 1377 was the seat of a papacy that had temporarily relocated from Rome. Seven popes in all reigned from Avignon’s extraordinary Palace of the Popes, an imposing fortress made of interconnecting towers that looks out over the hustle and bustle of the town below. And the town itself is unendingly charming, full of museums, boutiques, sidewalk cafes and even a carousel to entertain the masses of tourists who wander its streets. We fell so in love with Provence while we were there that I wouldn’t be surprised if we find ourselves wandering into the bakeries and shops at home that have adopted its name, hoping for another little taste of the places we enjoyed so much. When we waved a loving goodbye to Piedmont, Italy the other day and, once again, loaded our backpacks into the Peugeot and set off down the road, we were headed into unknown territory. Literally. We’ve had a guidebook for every country we’ve been to so far, but we were headed into France without so much as a Europe on a Shoestring between us. We had a vague idea that we wanted to be someplace in Provence in the near future, but we knew that we had a day or two to get there. Consulting our map, we realized that one way to get to that area was by driving down the French Riviera, through Monaco, Nice, Cannes and a bunch of other places whose names tend to appear on the pages of glossy magazines in stories about where celebrities dock their yachts. With visions of turquoise water and swaying palm trees dancing in our heads, we set off in that direction. After a few hours, we pulled into Monte Carlo, Monaco. 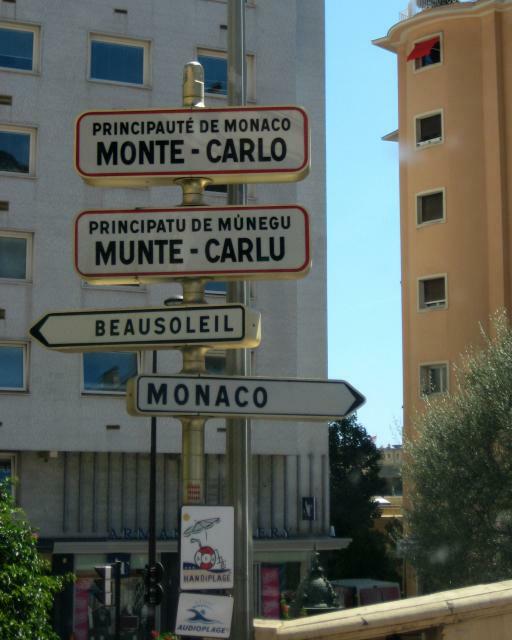 Monaco is a tiny “principality” on the Mediterranean Sea whose territory is completely enclosed by France. It is a constitutional monarchy now led by Prince Albert II, but more famously once ruled by his mother, Princess Grace Kelly. Citizens of Monaco pay no income taxes, a fact that has made the little place a haven for wealthy Europeans who move there as “tax refugees” and now make up the bulk of its population. Monte Carlo is an “administrative area” within Monaco (Wikipedia tells me that it’s technically not a city) that is best known for its extravagant casino, its celebrity spottings and the fact that its streets are pretty much paved with, if not gold, then at least glamour. 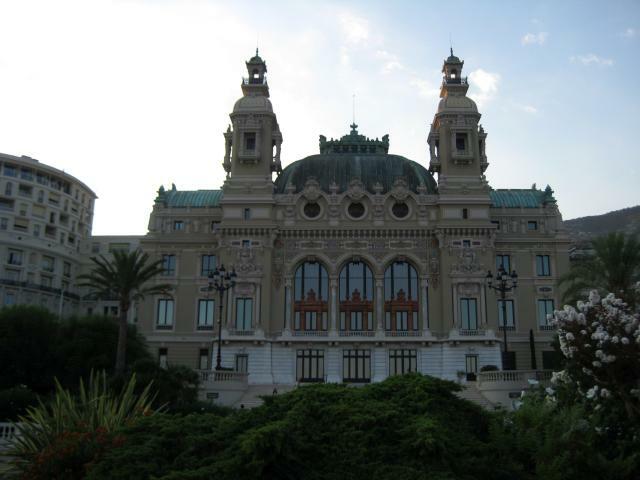 Derek and I had both been to Monte Carlo years ago, and we decided to take a look around to see if all was still as we remembered it to be. We stopped by the tourist information office to get a map, and then we got stuck in some kind of Monaco vortex. Within 30 minutes, we were inexplicably checking into a hilariously over-priced hotel and trying to decide where to have dinner that night. 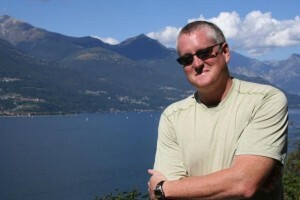 Consulting frommers.com (a great resource for people who love food as much as we do), Derek read out some restaurant options. A French place with a coat-and-tie dress code. Nope. Another French place whose entrees were priced starting at $125. Not so much. An American-themed sports bar that served Tex-Mex. No way. We decided to venture into town without a plan, spend the afternoon exploring the area and worry about dinner later. We changed into our fanciest clothes, which is to say I put on Billabong flip-flops and a cotton sundress with a broken zipper and Derek donned something out the of the pages of the REI catalog, and headed out the door. 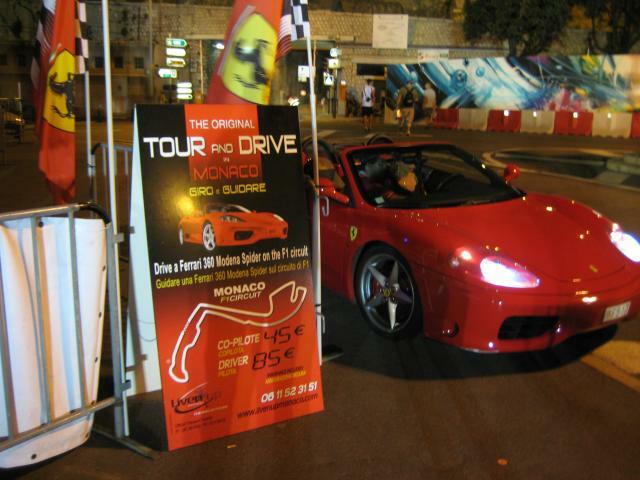 Monte Carlo has a few tourist activities, but its people are by far its most interesting attraction. It has got to be the best place on earth to people-watch, and that’s exactly what we wanted to do. We found just the place–a busy cafe right in front of the casino with a prime view of the U-shaped street where Beautiful People cruised, revving the engines of their luxury cars and enjoying the envious sighs of the Unwashed Masses who looked on. A table opened up at the cafe just as we arrived, and I made a beeline for it. A few seconds later, a living version of Monte Carlo Barbie and her pal, Ken, both of whom were clad in matching shades of shiny pink, approached and glared at me with such a sense of entitlement that I determined that I must have somehow stolen their table (which, as it turns out, was not even close to being true). While putting this in print makes me cringe with embarrassment, I admit now that I turned and fled. Even from a distance, I could feel their disgust with my choice of footwear. After a couple of hours spent trying to make one $22 drink last long enough to justify our presence at the cafe without requiring us to buy another one, we found ourselves suffering from Monaco overload. We fled back to our hotel room and gave ourselves a quick Don’t-Even-Begin-To-Think-You-Can-Afford-To-Play-Alongside-These-People reality check, and then we revisited our dinner options. 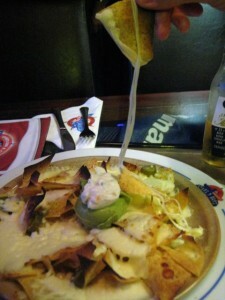 This time, the $8 plate of nachos available at the American sports bar sounded pretty darn good. And you know what? They were. Who Needs Rome, Venice and Tuscany? When we decided to spend a week or so in Italy before crossing into France, we were nervous about battling the onslaught of tourists that converge on Italy during August. 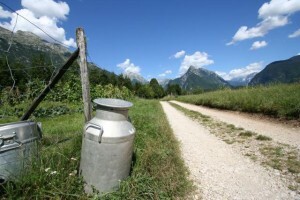 Many Europeans take off the ENTIRE month of August and hit the road. We knew the big towns and regions would be swamped, so we dug deep into our guidebook trying to locate places that might be less overwhelmed. 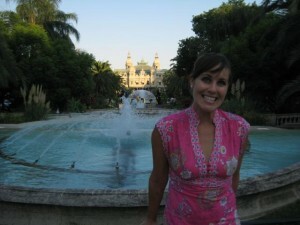 Once again, our Lonely Planet guidebook saved the day with all sorts of recommendations. Our first stop was Bolzano, a relatively large city in the Northeast corner of Italy filled with perfectly preserved medieval buildings, cafe- filled squares and, happily, very few tourists. 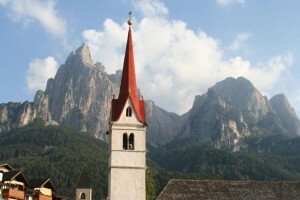 Bolzano is situated at the foot of a mountain range whose greyish peaks have earned it the nickname “the Dolomites” (meaning “pale mountains”). We used Bolzano as a base to drive around the picturesque area and quickly regretted that we hadn’t allocated more time to the Dolomites. The mountains and the surrounding valleys are as pretty as anything we’ve seen, and exploration of the small, Italian villages and the numerous hiking trails could have occupied several weeks. 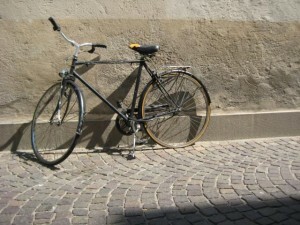 All too soon, it was time to leave Bolzano. We drove through the Swiss Alps, where we quickly visited the posh, but surprisingly commercial, ski town of St. Moritz, Switzerland (as well as countless less posh but incredibly more quaint and charming little hamlets that gave new meaning to the term “Alpine village”) before crossing back into Italy to Lake Como. I know what some of you are thinking, and yes, that’s where George Clooney has a villa. We were intrigued: if it’s good enough for George, surely it would be good enough for us, right? Right. We found an amazing hotel on the side of a mountain in the northern part of the lake, with vistas that stretched for miles and an owner-chef that cooked up some of the best meals we’d had in a long time. 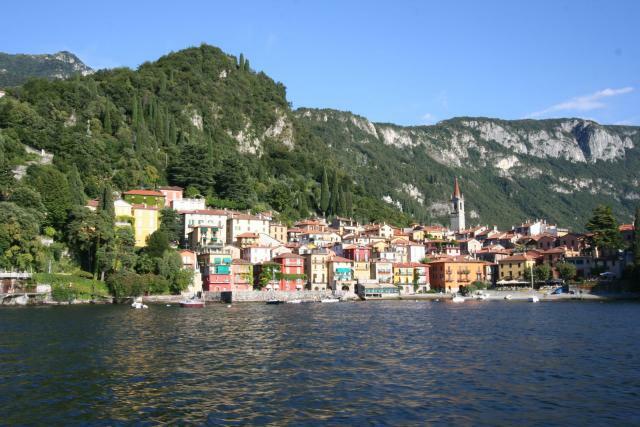 We spent our days visiting small villages along the lake via car and ferry, including a short visit to Bellagio, the small lakeside town that is the inspiration of the Las Vegas casino that bears its name. And, of course, we searched for George. Passing through the small village where Clooney’s villa is located, we kept our eyes open for any signs of George, but our search was in vain. Being a member of the paparazzi is a tough job. After leaving the lake region, we came upon one of our greatest finds of our trip – the Piedmont region of Italy. In the far western end of Northern Italy (just south of the Italian Alps where the 2006 Winter Olympics where held and north of the Italian Riviera), the region just started attracting a smattering of tourists a few years ago. In fact, when we met locals in the region, their first question was, “How did you find out about Piedmont?” These kind of questions are the true sign that you’ve found travel utopia. 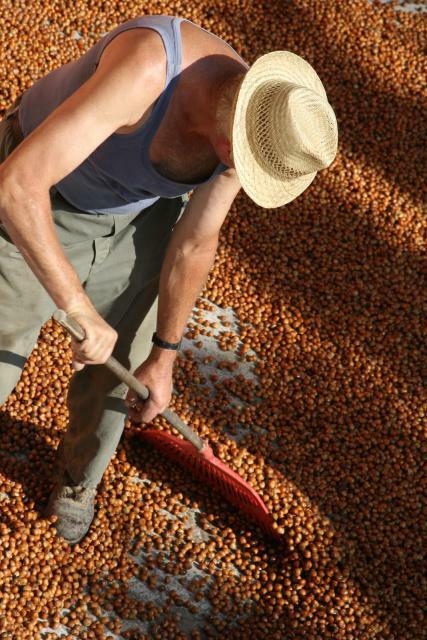 Piedmont’s cities and roads were blissfully empty, so we were able to explore the area without hassle, driving over hills covered with vineyards and hazelnut trees, discovering ancient, unspoilt towns and witnessing the hazelnut harvest. 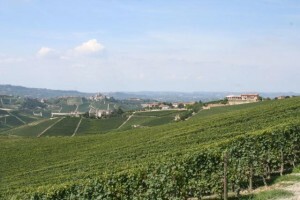 Known worldwide as the mecca of Barolo wine and the absurdly expensive truffle, the region is also home to the Slow Food Movement, an international organization that promotes an attitude toward life that emphasizes spending more time enjoying the company of friends and families, starting in the dining room. From our dining experiences in Piedmont, we think the region’s people have that figured out. On our last day in the area, our hotel owner organized a free, private cooking class with a chef who evidently owned an acclaimed restaurant in the area but retired a few years ago. Now, he has another small restaurant but only cooks when he feels like it. Luckily, he felt like cooking for us. 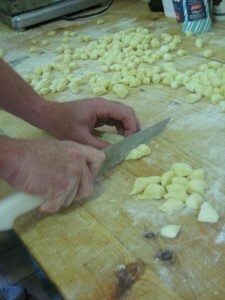 After we spent a few hours with him learning the secrets of making gnocchi, tomato sauce and panna cotta, we returned later that evening for a dinner that lasted well over 3 hours and cost a pittance of what it would have cost back home. After multiple courses – 4 different types of antipasta (the course you eat “before” pasta), 3 different types of pasta, a fish course, a cheese course, lamb chops and 2 different desserts – we slowly ambled out of the restaurant promising that we would soon return to this undiscovered Italian region. For the past few days, we’ve been driving through Northern Italy, where the scenery looks something like Under the Tuscan Sun meets The Sound of Music. Which is to say, it’s incredible. 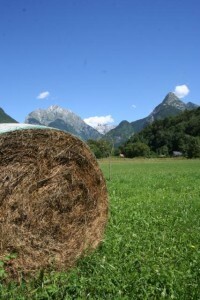 We’ve crossed over a number of high mountain passes that have landed us in valleys full of fields of hay, where the smell of warm sunshine on freshly cut grass is almost intoxicating. 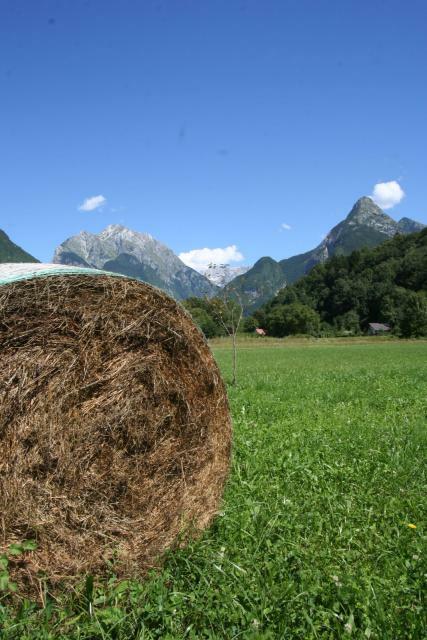 Apparently, farmers in the area have a tradition of taking cat-naps in the piles of fragrant hay, which often contain the wild herbs and lavender that grow alongside the tall grasses. The naps sounded like a pretty good idea to us, so when we read about an opportunity to follow in the farmers’ footsteps without actually trespassing in their fields, we signed right up. 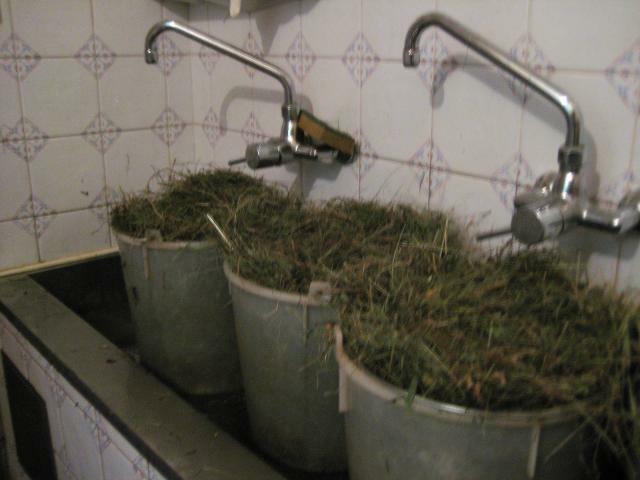 The experience is called a hay bath, and it’s more or less exactly what it sounds like. We showed up at a local spa, where a technician directed us into separate rooms, each of which contained what looked like a bathtub with a mattress suspended over it. When it was my turn, the technician covered the mattress with warm, wet hay and instructed me to lie down on it. Err, ok. After I did as I was told, she covered everything but my face with more of the same, then wrapped me in blankets, then plastic and then pushed a button that lowered the mattress directly into the bathtub, which, as it turned out, was filled with hot water. (A couple of strategically placed pillows ensured that my head never went under, a fact for which I was quite grateful.) Then she left to attend to Derek. Trying to picture Eastern Europe before I ever saw it, I always envisioned lots of communist bloc housing. And also cabbage. And clouds. After having spent about six weeks there, I can report that it has at least the first two of these things in ready supply. 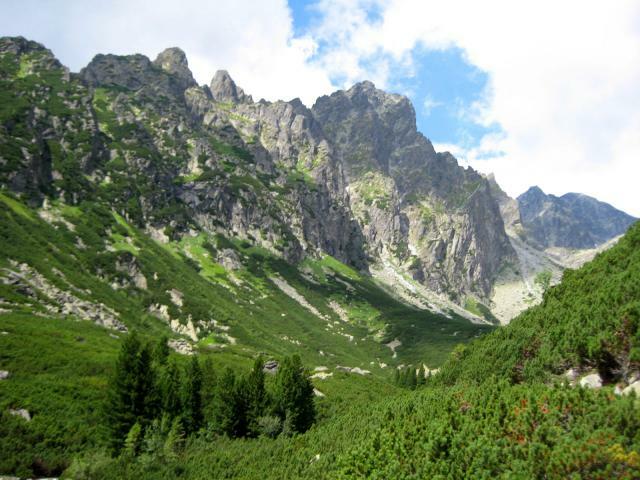 As it turns out, though, Eastern Europe also boasts some of the most spectacular natural wonders I’ve ever seen. Driving from Poland into Slovakia we crossed into the High Tatras, a 15-mile long mountain range that seems to spring up from the floor of an incredibly green, wildflower-covered valley. 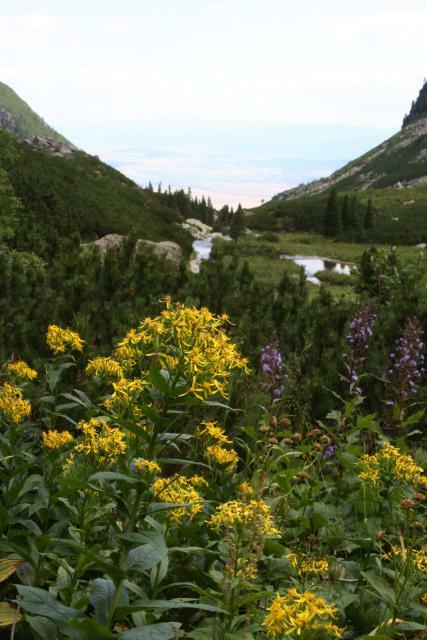 We spent a day hiking up the Tatras’s rocky cliffs and, alas, we were not alone. We shared the trail with lots of other hikers, including a woman in white hot pants who, embarrassingly enough, left us in her dust. Happily, though, the views (of everything but the woman in hot pants) were incredible, and well worth the climb. 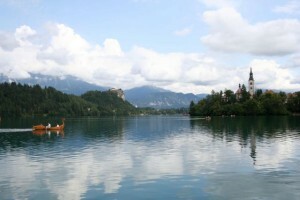 After the caves came Lake Bled, Slovenia’s most popular tourist destination, and for good reason. 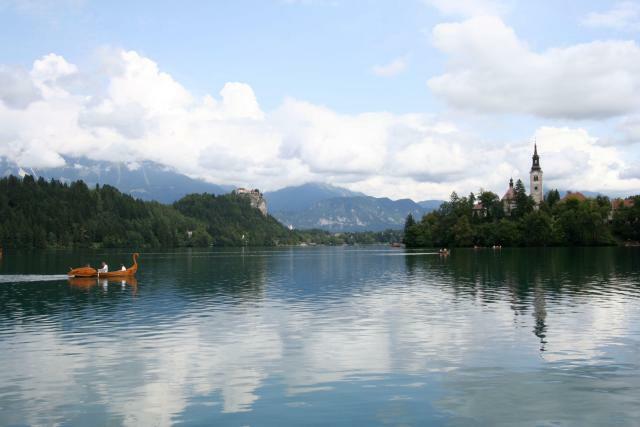 Watched over by a towering castle, the blue-green lake wraps itself around a tiny, perfect island, on top of which sits a tinier, more perfect church. Unsurprisingly, the church is a popular setting for weddings. 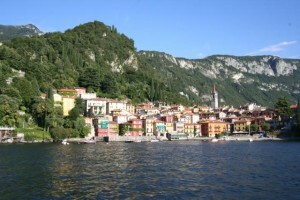 Some 99 stairs connect the lakeside dock with the church, and it’s said that grooms often try to prove their “fitness” for marriage by carrying their brides up the entire flight. When I suggested to Derek that he attempt the feat, he became very interested in photographing the family of swans that make their home on the water’s edge. Looking around at the incredible scenery, it was kind of hard to to believe that anyone could retain the will to fight in the midst of beauty like this. 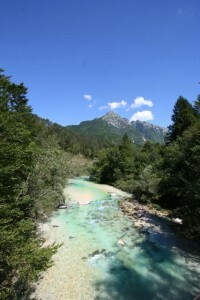 The ridiculously turquoise Soca River courses down the Alps and into the verdant valley below. It is joined by another river, the Susec, which has carved out the canyon that served as a veritable waterslide for us during our first-ever attempt at an adventure sport called, accurately, “canyoning.” Donning neoprene bodysuits, aquasocks, helmets and plastic diaper-looking things that allegedly make it easier to slide over the rocks but are potentially there only for the amusement of our guides, we climbed up part of a mountain (not a tough hike overall, but made much more difficult by the fact that were were wearing not shoes but aquasocks) and then slid and jumped our way back down to the bottom. The experience was exhilarating, only a little scary and–like so much of what we’ve seen in Eastern Europe–highly recommended.